Part of the popular Lexington range, the Lexington 32 Pendant by Heathfield & Co will make a sophisticated addition to a contemporary dining room or grand hallway. 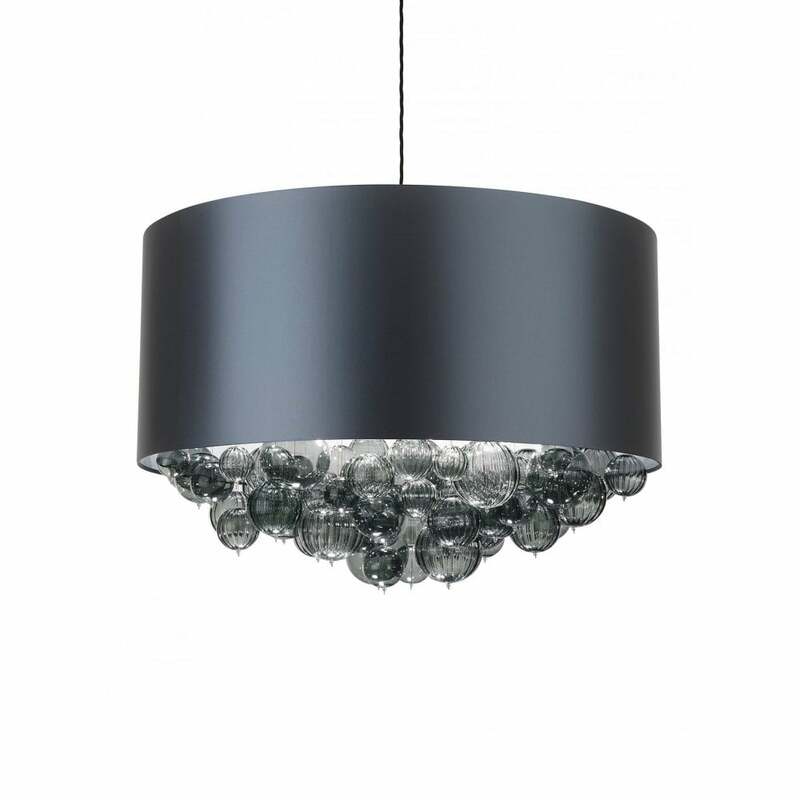 Delicate borosilicate glass globes are presented in a four sizes in either a plain or fluted finish. The halogen capsules are available in two versatile colourways - Smoke and Opal Jade. Shown here with a luxurious satin shade in dark teal, a wide selection of fabric and colour options are available. The silver pvc lining reflects and radiates light creating beautiful patterns on the walls and ceilings. Please note: assembly and suspension of glass will be required. Get in touch with our team of experts for more information, advice and tips. Priced for 32" Lexington Drum shade in silk with white PVC lining. Please contact us for other options.